on digital illustrations of Adolf Lachman. We cordially invite you for an exhibition called Mechobot world. Opening of the exhibition starts on Wednesday 25 April 2012 from 17pm until 20pm. 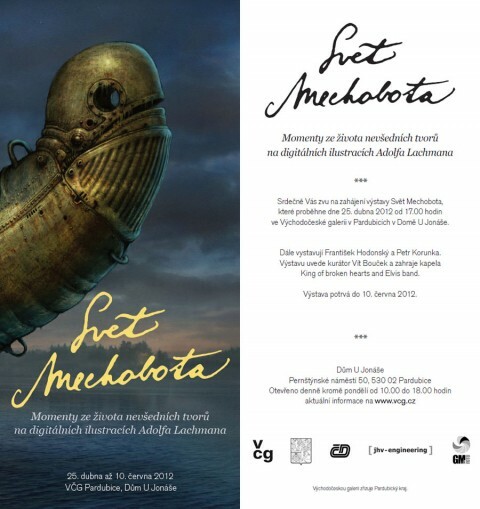 The exhibition lasts until 10 June 2012.